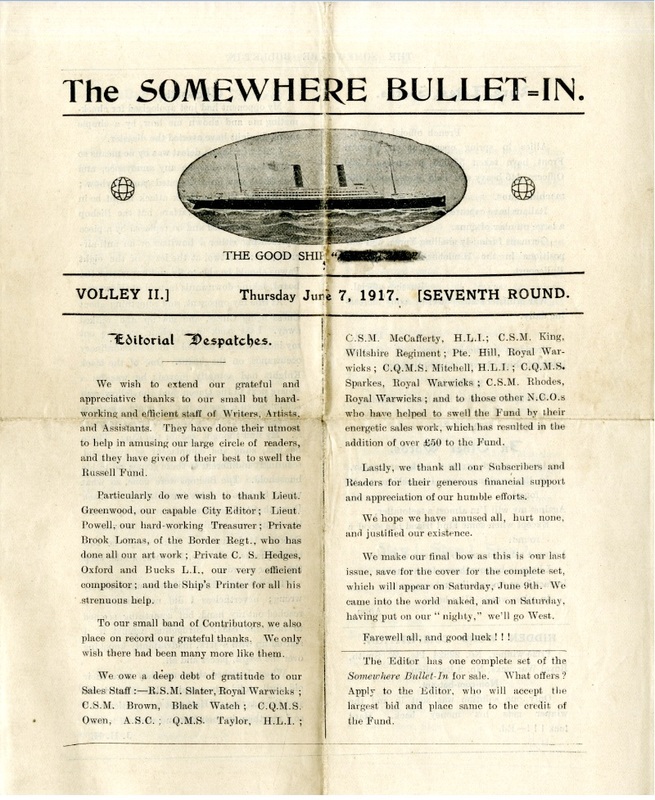 Whilst searching out artefacts for an Armistice Exibition that will take place later in the year, volunteer Kayte stumbled across a copy of The Somewhere Bullet-In dated June 1917. 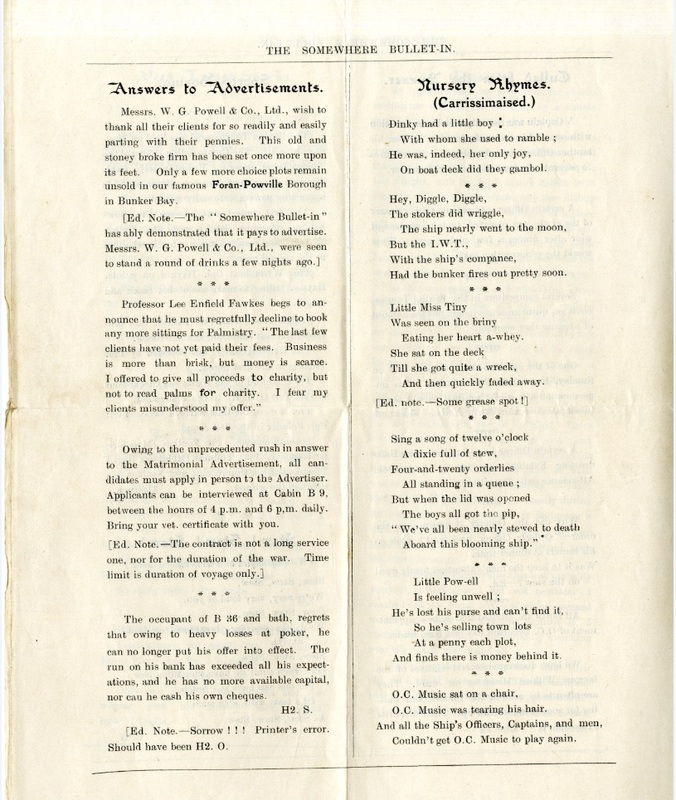 This was a regular ‘news sheet’ that entertained the troops whilst in transit on the HMT Carrissima. Even at the most difficult times, humour and camaraderie saved the day. We especially liked the “verses” the back page.